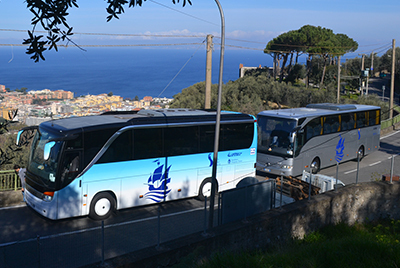 Visit the Vesuvius on board of our 4x4 ecological buses , the only ones that can transit in the Vesuvio National Park . A fun and exciting journey through the lush nature of the Park to the top to discover the most fascinating crater of the volcano in Italy. Do you have to take a train or an airplane? Do you want to be sure to arrive in time at the airport or at the station? 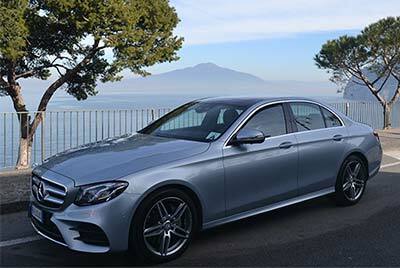 Choose our transfer to Naples Capodichino , Rome Fiumicino or the main tourist locations . We guarantee high quality of service! Are you a cruiser and you want to make a excursion from the port of Naples, Salerno, Sorrento or Civitavecchia ? Would you like to visit calmly Amalfi Coast or see the beauties of Rome ? 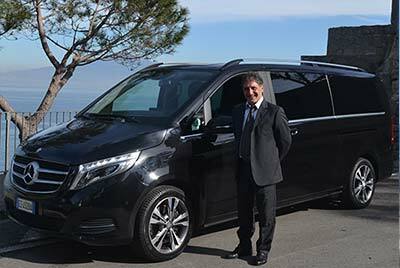 Choose the excursion that suits you and request a quote. Sail to Capri, Positano and the Amalfi Coast by booking one of our boat trips : experience a unique day on board our beautiful boats. Navigate with the best skippers and dive with us in the crystal clear waters of Capri ! Do you want to take an exclusive tour of the Città di Sorrento without losing even one of its picturesque corners? With our Fun Tram you will discover the city with a traveling trip that will show you the history of Sorrento and its famous attractions worldwide. Do you want to book a private excursion on the Amalfi Coast, in Sorrento or at the Pompeii Excavations? Avoid the stress of city traffic and parking. Book a private tour with Cooperativa Tasso. Do you prefer not to venture into the streets of the center? No problem! Our Garage Tasso, located in Via degli Aranci n ° 139, is easily reachable without traffic restrictions . Park with us and we will accompany you with your luggage at the hotel.